Amazing Backyard !!! Vacation House River Garden ! Great location ! Wonderful place ! River access to the Gulf of Mexico ! The backyard is huge and awesome. The pool is very nice ! 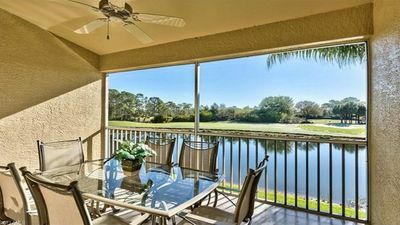 The backyard is very large, quiet and has a canal that is great for fishing ! Neighborhood is beautiful, very safe and quiet. The house is only a few miles from downtown Ft. Myers. Home is fully remodel. 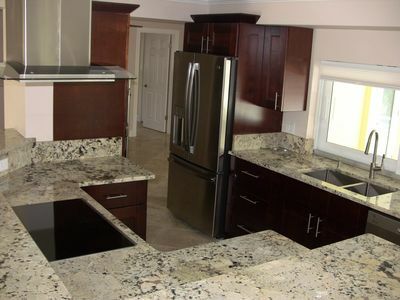 New kitchen, all new tile floors, now open floor plan with kitchen bar, new sofa and fully new decorated. 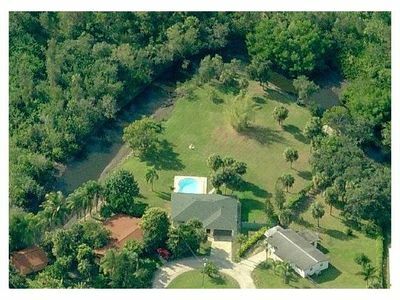 1 Acres Backyard with 300' on Waterfront Creek with Gulf Access. 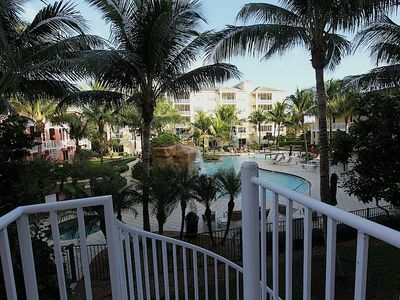 Private Pool Residence with lots of Nature in the middle of the City Fort Myers. Enjoy your very own Peninsula. 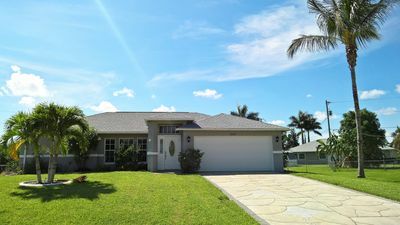 Our beautifully private located, 3 bed/2 baths Pool home, is situated on a one acres large, tropically landscaped, waterfront lot in Fort Myers. It has a 300 feet creek frontage with view into a nature preservative. Fishermen are able to stay at home and go fishing on the creek in your own backyard. Catch a big fish in your backyard and put it on the grill! We provide two fishing poles; so don’t worry to carry all that stuff with you. You also may like to watch birds, turtles, beaver and sometimes an alligator passing by. 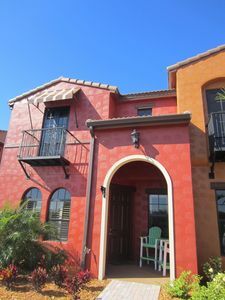 The backyard is Western exposed and offers sun all day long, as well as beautiful GREAT SUNSETS ! . Nice 28’ x 10’ large patio with all furniture, chairs and barbecue grill to relax at the pool. The swimming pool is a large 30’ x 18’. The pool is cleaned and maintained by a pool service. The kitchen is fully equipped with: Full size refrigerator, regular stove, microwave, dishwasher, coffee maker, toaster and standard utensils for easy made cooking. This property has 1 King(s), 2 Single(s), 1 Queen(s). 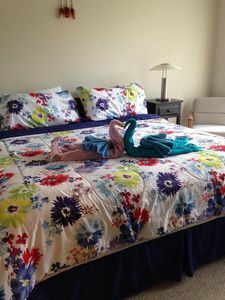 The master bedroom offers a king size bed with comfortable single mattresses, the second bedroom offers a firm queen size bed and the third bedroom has two medium comfort single beds. The home has one 10.000 BTU air-condition. You are in control of its settings and of the ceiling air-vents to direct the cool air as you desire. 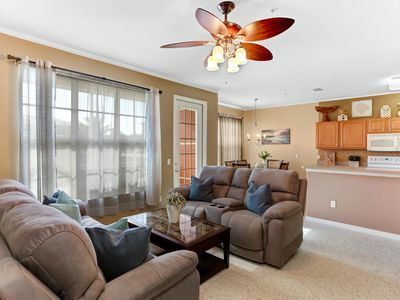 All comes with full sets of linen, towels and all you need for your vacation: TV in living room with unlimited movies and shows via Netflix (RoKu-Box), digital local channels, VCR & DVD. A second TV for your game console or DVD player in the master bedroom. The home has free Internet WiFi with fast 10 MBit available. The phone in the home is an open line for local, national and international calls. The flat rate, regardless of the destination, for inbound and outgoing calls, to all landlines, is US$ 0.08 per minute. .
At the drive way and right of the drive way are a total of three parking spots for your rental cars available. You may park your car or motorcycle in the garage. We recommend a rental car. The well known museum "Edison Home" is just across the River and going West (1-2 miles). Some restaurants , many shops and big Wall-Mart Shopping Center are within 2 miles radius. It is 3 miles to a public Golf Course. 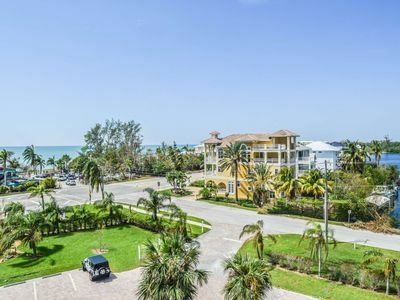 Gated Condo Community only 5 miles to Fort Myers Beach or Sanibel! 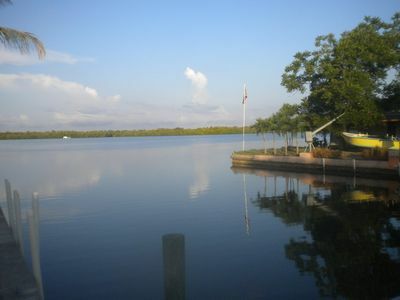 Catch a fish or bring a boat to enjoy the beautiful southwest Florida lifestyle!